......LOL, not really, but it keeps me busy and out of trouble. I hate to wear gloves, but my hands get so cold in the winter at work, that I can hardly type on the keyboard. 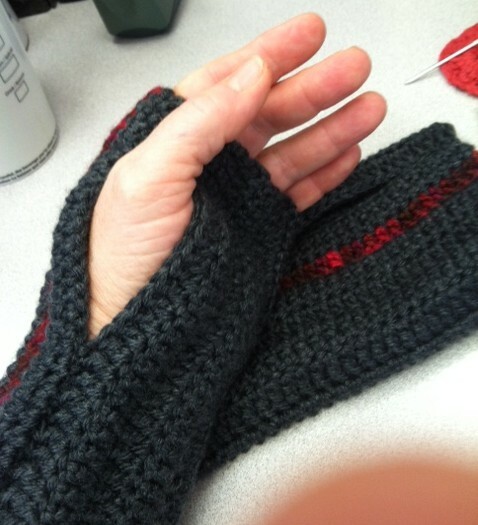 So I decided to look for a pattern for fingerless gloves...uncomplicated and fast. 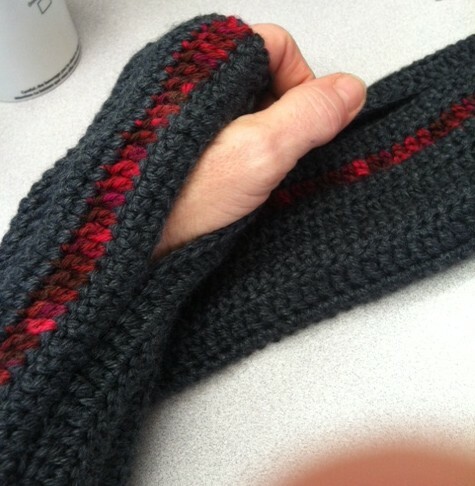 I then switched the pattern over to crocheting and made a few to show to my mom. She then took them to her yoga class and sold some of them. 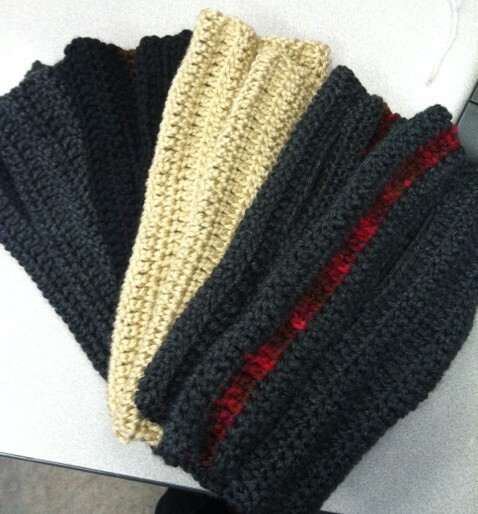 So now I have a few orders coming in for fingerless gloves in different colors. One of them is brown with black and black with brown. I'm having a real issue finding brown yarn. Everyone in this town seems to be out of stock. I won't order it online because I'm trying to keep the cost down, so I'll just keep looking until I find it. Today is our first cold day. It will only get up to the low 50's and tonight should get down to 38. I think it's high time I make a couple of pairs for myself!